Hi friends! I'm back again for another post for Lawn Fawn Inspiration Week. Today we are playing with the newest ABC set, Owen's ABCs. I think this set is fun and a little different as far as alpha's go. So I made a slightly different project. 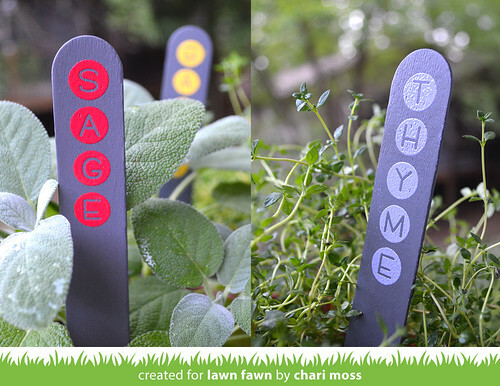 All my herb markers seem to be different and I can never find all the names I want so I thought I would make some of my own. These are easy to make using some large craft sticks. I found mine at Michaels and panted them all with a grey chalkboard paint as a base. These letters are on square bases just like all other Lawn Fawn alphas but since they are all the same width it is very easy to line them up vertically too. I stamped each word in Versamark ink and then used different colors of embossing powder. Be sure to heat the powder evenly and move the heat gun around so that no one place gets too hot to avoid warping or overheating of the wood. 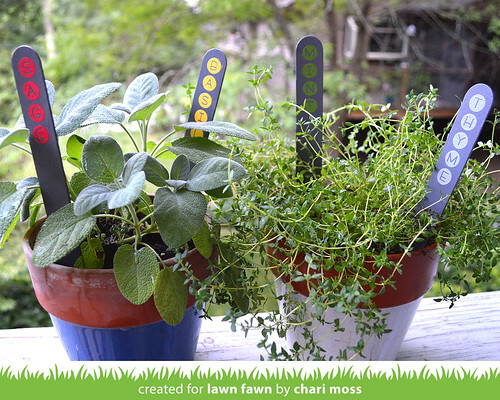 Check out the Lawn Fawn Blog for more projects using Owen's ABCs and giveaways as well! 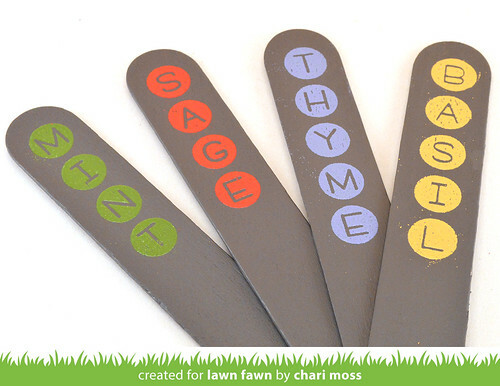 What a great idea to emboss on painted wooden sticks! Love the plant sticks. Thanks for the inspiration.